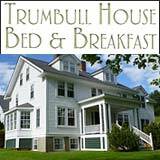 Explore state history of New Hampshire, statistics and unique facts. One of the original Thirteen Colonies that roase against the King of England during the American Revolution, New Hampshire was named after a Saxon shire. 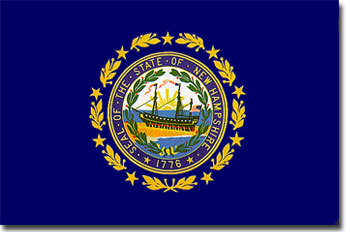 Since the day it gained independence from British rule, NH has had two different state seals. Today, the most well-know state seal is called the Great Seal, which depicts the U.S.S. Raleigh surroundsed by a laurel wreath and 9 stars. The ship was build for the Navy in Portsmouth, the laurel wreath signifies fame, honor and victory, and the 9 stars represent indicate NH’s place as the ninth state to join the Union. 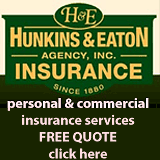 To promote your business in NHLiving.com – New Hampshire’s Internet Magazine, please contact us. although pictured on the seal are flags that were not adopted until 1777.